Sweet Aquarium Bro, Do You Play? We’ve covered some bizarre aquariums in the past, but this one is actually pretty clever. Assuming you don’t have any cats that is. 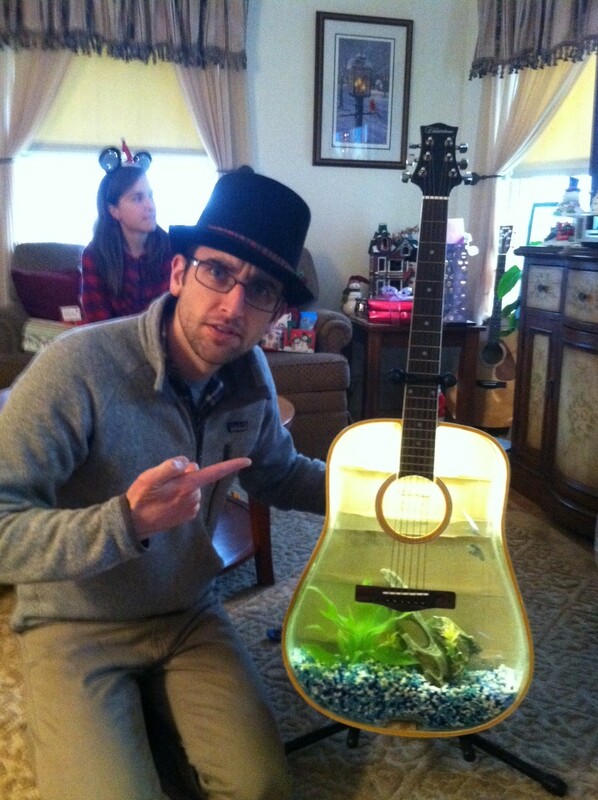 If you combined this guitar with the goldfish helmet you’ve got the beginnings of one seriously weird band. 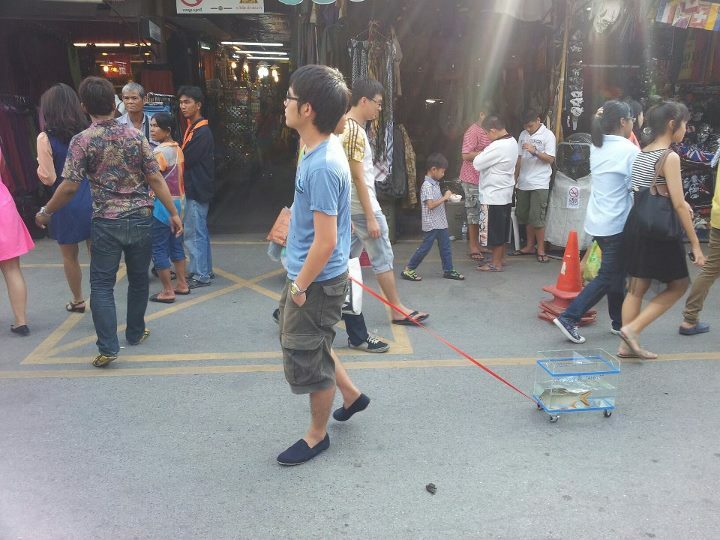 Just because your pet fish lives in an aquarium is no reason to keep him indoors. Turns out they love shopping, walks in the park, and trips to the beach as much as the rest of us. Just don’t forget the sunblock! Legendary Canadian country/folk singer-songwriter Tom Connors died at the age of 77 in his home in Ballinafad, Ontario. Tom’s personality and music are an inspiration to people around the world. His memorial service will be held on March 13, 2013 at the Peterborough Memorial Centre in Peterborough, Ontario. The Coolest Recreational Vehicle Ever? Watch this video closely and don’t blink or you might miss it. 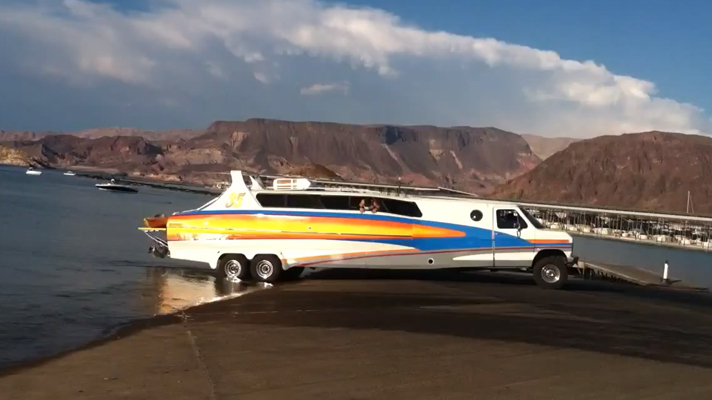 This amazing and surely custom-built recreational vehicle looks like the pairing of a Ford Econoline van, some kind of extended limo wheel base, and a boat? !